Cyprus Stonex shower floor by Roca has an organic, natural feel. 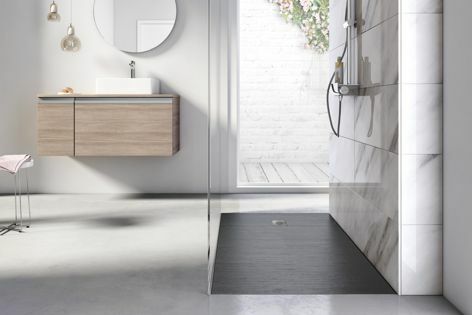 With a unique textured finish, Cyprus Stonex shower floor by Roca offers a durable, functional and aesthetically pleasing alternative to polymarble or acrylic materials. The Stonex material boasts an organic and natural feel, aimed at contributing to a sense of wellness. Sleek and minimalistic, the shower floor is designed to complement a wide variety of bathroom styles.